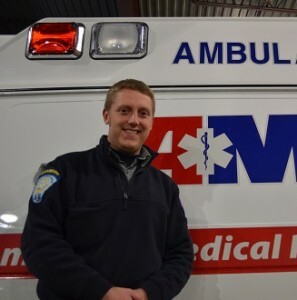 Bill is a Paramedic and Field Training Officer for AMR in Hartford, Connecticut. He is receiving the Star of Life award for his life-saving actions during a cardiac call in 2015. He responded to the “unknown medical” call and found himself evaluating a young female patient who was in an unstable arrhythmia. His calming demeanor and connection with the patient immediately gained her trust. Bill then prepared the patient both physically and emotionally before successfully cardioverting her into a normal rhythm. Bill is a compassionate and patient-focused professional who has earned a reputation among his peers as a strong clinician committed to improving the quality of emergency medical services in his community. Bill exhibits strong clinical skills and is highly dependable; however, it is his deep compassion that sets Bill apart. He is described by his peers as both a leader and someone who displays utmost confidence that puts both patients and trainees at ease.